Welcome to Knights Inn of Paris, TN. Easily accessible from US Highways 641, 69 and 79. Two hours from either Nashville, TN or Memphis, TN. Complimentary Continental Breakfast each morning. Free High Speed Wireless Internet in all rooms. Fridge/Microwaves, Hair Dryers, and free local calls. Free Parking. 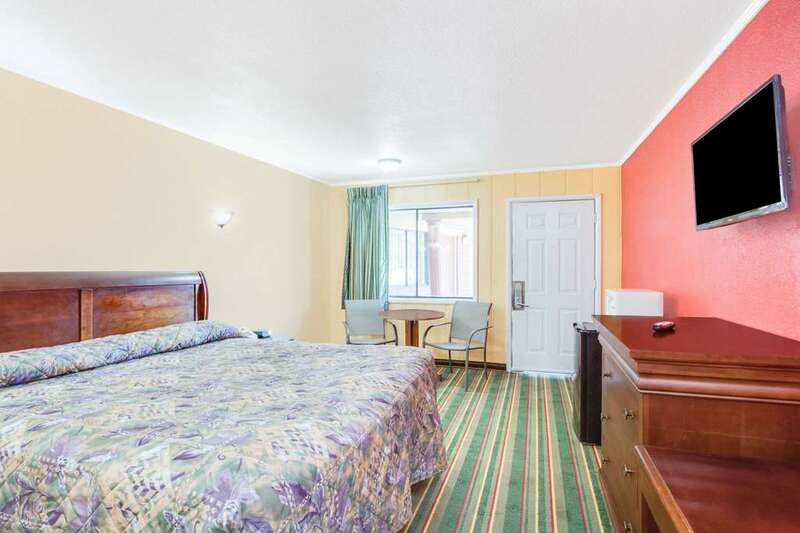 Handicap accessible rooms. Free 27" Cable TV with 70 channels including HBO. Small Pets allowed with additional fee. Extended stay discount rates available for contractors or long term guests. Lewis, Clark, a dog, an Indian, and what is supposed to be an Indian girl (but looks like a 21st century white girl dressed in Indian clothes) holding an 1803 American flag. The Super Museum, life's work of Jim Hambrick, is stuffed with over 20,000 items relating to the Superman saga, from his first appearance in comic books.